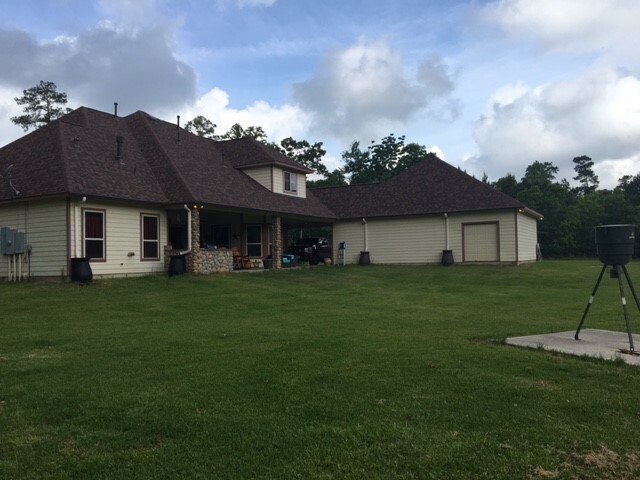 Magnolia Texas (Houston) Pool Build Thread!! 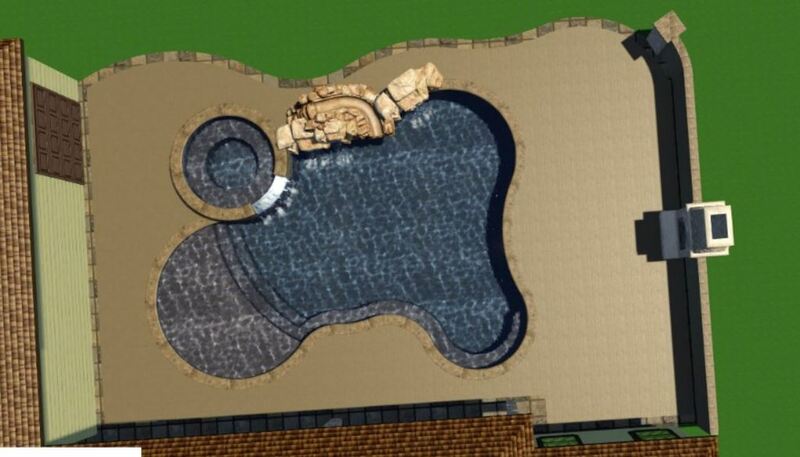 My wife and I finally decided on a pool builder and we have just signed our contract. Our Pool Builder actually lives in our neighborhood and it was someone my wife new. He told us from the beginning our rough price would be Cost + 15%. 17) He is plumbing me for a pressure side cleaner and just going to cap this off at the equipment pad site just incase I ever want to be lazy and go that route. 26) Spray deck – we went this route so we could save money as travertine was quit the jump in price and we chose to spend our “money” in other parts of the pool. i. The reason we are going two directions --> The first direction is the easiest and I want this to be my primary “water unloading” point. However we recently had a 500 year type flood and the water rose in the creek, the water got outside the creek and came within 2 feet of my back patio (this is the worst flood this neighborhood has seen). So to prevent the creek filling up into my yard and water coming up the PVC drain pipes and flooding my pool, we set a “Direction 2” route as a backup. This PVC pipped direction will be slightly higher than direction 1, that way the water will always try to go in the route of direction 1, but in the event of a 500 year flood the water will rise and make its way to direction 2, go through the sump pump and be forced uphill to the ditch that did not flood during the 500 year flood that we recently had. 38) Pool builder was concerned when we had the 500 year flood that the water came within 2’ of my patio. (he lives in my neighborhood). He doesn’t believe we will ever have a flood this bad again but he believes better to be safe than sorry. 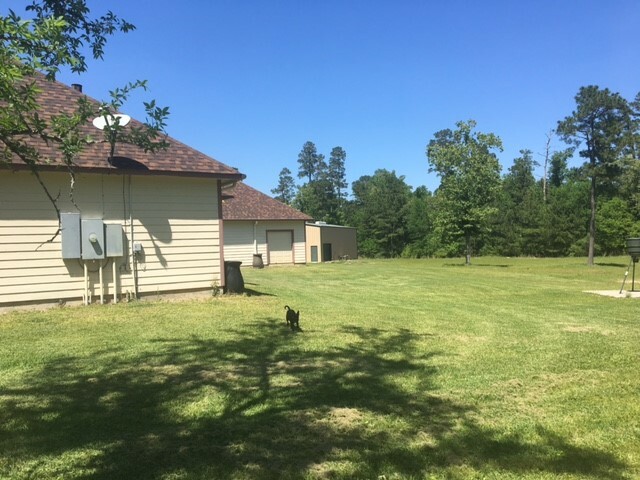 He sent my site plan off to his engineers and the consensus was since I have a slope in my yard not to have the pool have a “drop off” because in this scenario water could possibly get under the pool and cause issues. What he is going to do is dig down and remove all the silt from the area, bring in probably 100 loads of hard clay and compact the site approximately level to my existing patio. He will let that sit for 30 days to let it settle and finish compacting before we begin digging for the pool. He said doing it this way makes the structure much better in the event we have another serious flood. 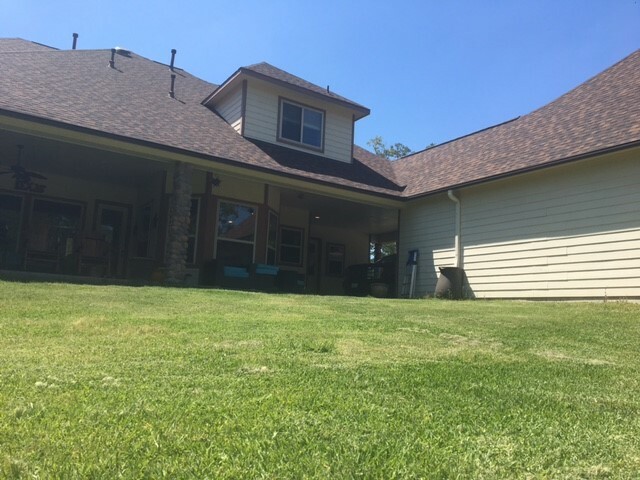 He will use the silt that he removed, plus some of the clay that he will dig out when he begins digging the pool, to create a slope off the backside of the deck to make sure the water drains properly to the creek. So basically were my pool and deck is going, he is building that up to the grade of my house with clay, then sloping it towards the creek for drainage. This was expensive, I imagine the dirt work will be $10,000, but I agreed with the builder that it needed to be done to ensure the integrity. That lot is made for a pool. The only thing that stands out is there is not size on the filter. VERY important to get as big as you can. The bigger it is the less you will have to clean it. The steps to the slide look like they are kind of tucked in by the spa. I wonder just how big of an area that will end up being. Wow, this is why you are amazing and why this forum is amazing. I feel like I have reviewed hours and hours of my design to ensure I am not missing anything and here you look at it for two seconds and find some good input!! 3) I do want deck jets as I just think they are neat. but that brings up a good point since I have a pump controlling both the bubblers and the deck jets. what happens if we want to lounge in the sun deck or kids want to play in the sun deck with the bubblers on, but since they are controlled by the same pump if the bubblers are on then the deck jets have to be on right? Tbis is where outside eyes help. You are too close to it. It is like editing a document. Yours eyes read what you thought you wrote where outside eyes read it word by word and catch things. Filter size-there are many sizes from tiny to huge. Of course they are priced accordingly There are also different brands. Lwts talk brands. In the past if you bought three of the same brand they would do a 3 yr warranty instead of just 1. Something else for you to think about (sorry about that lol). Deck jets are a neat party trick. They will be fun for the kids but I would not point them on to. the shelf. Instead point them into the pool. IF you put valves on each thing- bubblers and jets- you could control them separately that way and run what you want, when you wanted. 1) the drainage -- I am going to attempt to hook up as many of my downspouts to the drain as possible. The pool builder included 6, but said I could do more. I am trying to prevent the destruction that currently takes place in my flower beds and the puddles that hold water in my yard. 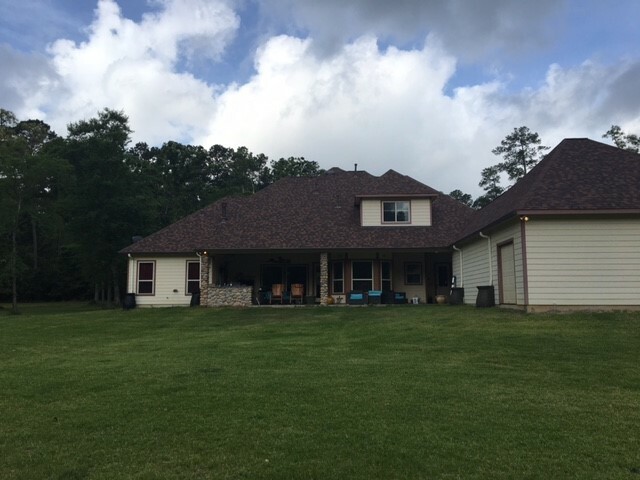 My question is, If I include 8 downspouts with the pool drain, is that going to overwhelm the pool drain and cause water to raise on the deck drains? thoughts? 2) Slide Height -- We did not originally have plans for a slide, but we were always going to Gunite the waterfall to help save costs. The gunite crew said they could install a slide for 3-5k so we went ahead and did that. The height of the slide is only 50" (~4 feet) which seems pretty short to me. My pool builder said that is a good height for a slide but I think it will not be a very "fun" slide since the height is so low. The issue is, if I raise it to 5 or 6 feet tall, he will have to make the waterfall bigger as well to make the slide look right. 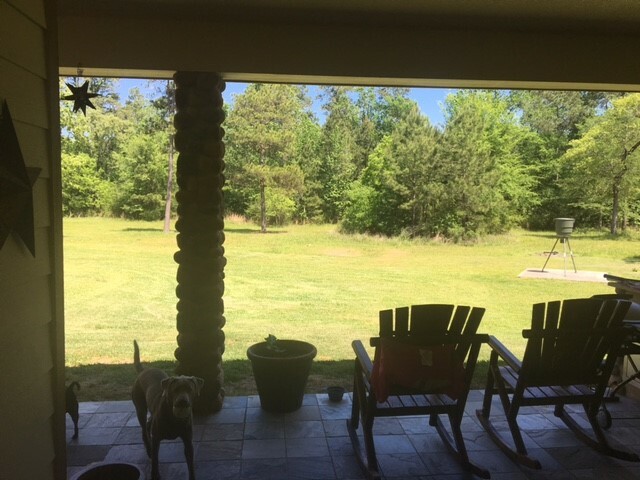 he said if I do that (he would need to get another quote from gunite guy) but his guess is that would raise the price another $8,000 which we do not want to do. He said if I wanted it taller, the only other option is to not make the waterfall/slide as long since it currently sits at 16 feet long. you could go taller if it wasn't longer. But I think that might not look as good as I currently love how the waterfall touches the hot tub. Thoughts? 4) should I consider making the tanning ledge instead of a step down to get into the water, should that be a beach entry? --> I don't want to make the sundeck any smaller for lawn chairs and I don't think I have room between the pool and my current patio/garage wall to make the sundeck any bigger for the beach entry....how would this work? Drainage-how big will the pipes be that will take the water away? Will they ALL tie into ONE end pipe? -Slide-I LOVE how it looks now so would be hesitant about changing it. I guess you could turn the pump on HIGH to really speed things up! OH and have a deck jet shooting so it hits faces as they come down the slide! -sundeck and steps-you can have as big of steps as you want. I would try for 6 inch rise for your Mom. You might have to get creative to make them fit. One guy just did a kind of cut out so they did not take up any pool room. -Beach entries look VERY neat but I have heard they kind of turn into wasted space as they cannot really be used for much. Most are too steep to put a chair or lounge chair on. Think it through. It would really be easy for everyone to get into and out of the pool AND if you can have it sloped just right it could work! Kim, I would prefer not to have the beach entry so if you think steps would help my mom. do you have a link to the pictures of the cut out you are referring to? do you see the steps in my design? Is that the normal amount of steps for a 8" sundeck and 3.5' deep end? Okay I went and looked at the design and feel in love all over again! Sighhhhhhh that is SO pretty! In the over the top shot it looks like there are are two steps after the shelf BUT in the shot from the side of the pool it looks like there is 3 steps after the shelf. Check with your PB and see what he says. Until then I have an idea!!!! You can do "Suz steps"!!!! I will find the picture and share them here! I think it will be the best of both worlds! Hold a sec. I will be right back...................Okay I am back. Look at post 111.........it has a drawing of the steps. See how they curl around the spa? That way your mom can use the spa as a rail! Now I am looking for the finished pic of them! See this page post 299. that shows them in real life. There are other pics in her thread if you want to see them at different angles. This was/is an epic thread that was a BLAST to work on. Gorgeous plan... and you have the yard for a wonderful pool! Ok I have the full list of equipment. 1) on the sand filter, I cant find the TR-100 on pentairs website. why is that? 2) what is the difference between intellitouch i9 vs. i10 that I see people using on here? 3) why cant I see intellitouch i9 on pentairs website? Ditch the Nature 2 system. You don't want to add minerals to your pool. I would suggest for sanitation a SWCG-saltwater chlorine generator- or bleach. Personally I have a SWCG and love it! This just one example I found with a quick search. There are many out there if you decide to get one. So I have been looking around trying to decide what style coping/tile I want to go with. 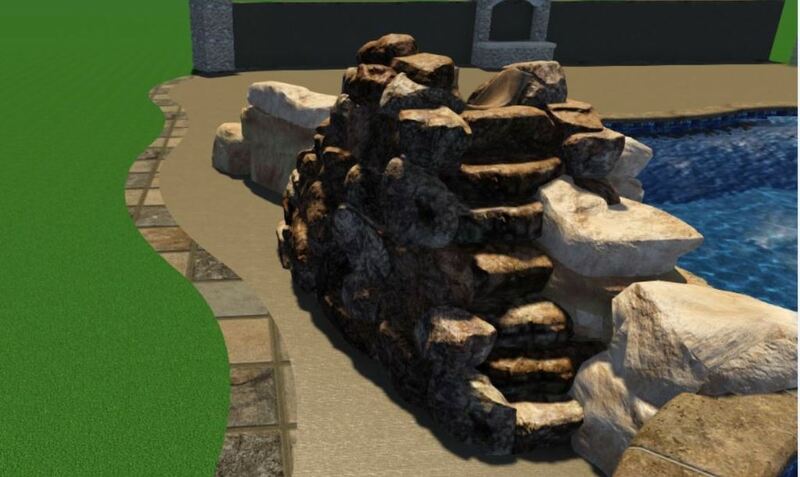 I was wanting something that would look well with my house as I have large round stone/river rock beams on my house so I wanted to make sure the pool design goes well with the house. What is everyones thoughts on making the tile/coping out of formed boulders? I am having my slide and waterfall shot out of gunite and made that way, why not continue that look for the tile/coping? Look at this thread for an example. If you look at page 2, post 38 you will see how they did the "stone" coping. It is made from the gunite! I don't know about costs but I would think the cost would be in the labor instead of the material. It DOES look neat! I would be printing out those pics of how they did it and asking around to see who would/could do it! So I just asked my builder about it and he does make a valid point. He said in 4-5 years that I will end up with a ring all around the pool due to calcium build up. He said that's why most people go with a shiny tile is that tile is much easier to clean that calcium build up. he said they could definitely build that for me, but he just wanted me to be aware of possible future issues if I didn't sty on top of cleaning the calcium line all the time. he has an idea to put natural stone builders around the pool in certain places to get a look close to that. I have a hard time visualizing that so I'm going to try to find some pictures on google. Definitely find your own pictures of accent boulders that you like to show him. If he says he has something else in mind, tell him to show you sample pictures of what he's thinking - or take you to real pools where he's done it.